Let’s start with the question: why is it necessary to extract audio from DVD? DVD is quite popular among movie and music fans. Maybe you are a music fan and you have many DVDs for concerts. But there might come a time when you would like to listen to the music in the DVD or you want the audio to be played on your portable devices, like iPod or Mac instead of DVD players. Therefore, extracting audio from DVD is quite necessary and DVD audio rippers become very popular. Nowadays, for Mac users, you may also have the need to extract audio from DVD. If you are have the need, and then this is where you should stop. 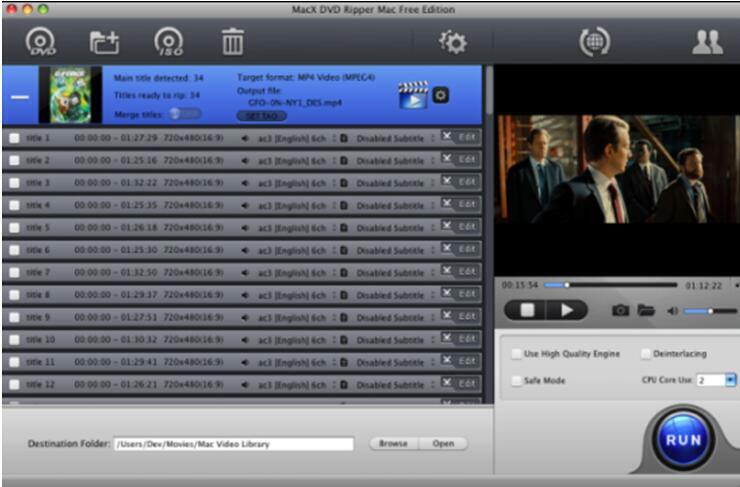 In the market, there are many DVD audio rippers for Mac users. With those programs, you can easily rip audio from DVD on Mac. In the following, I will introduce three of them for your option. 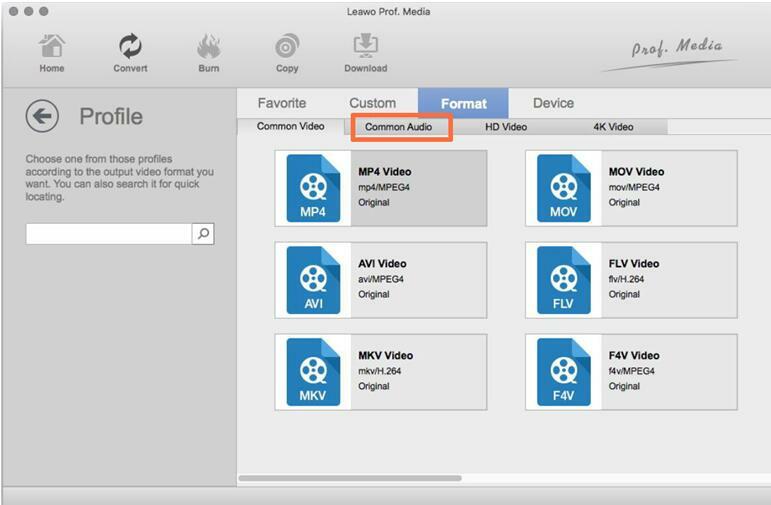 This program can allow you to convert DVD to video on Mac and extract audio off DVD on Mac to save in various formats like AVI, MP4, MKV, FLV, M4V, 3GP, MP3, WMA, WAV, AAC, etc. With the unprecedented audio profile setting features, you can choose audio tracks you want from source DVD movies for better music enjoyment. 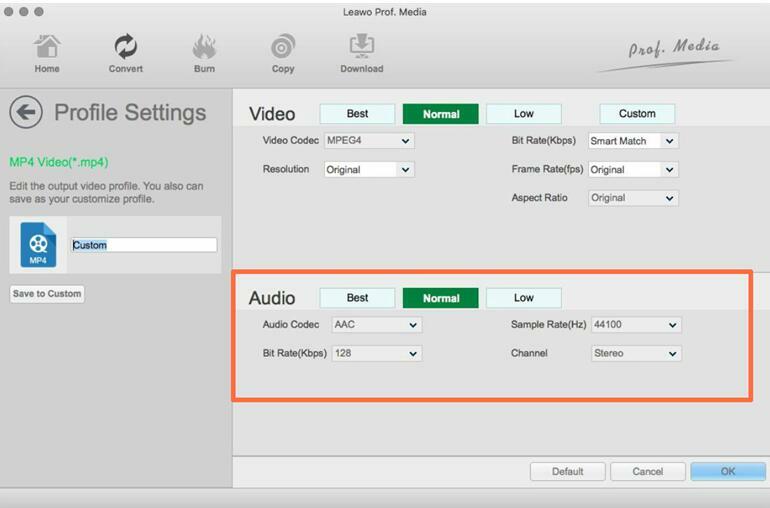 Additionally, Leawo DVD Ripper for Mac can help you to set the audio parameters according to your own preference: video codec, audio codec, video size, bit rate, aspect ratio, frame rate, channel, etc. As a home DVD audio extractor for Mac, Xilisoft can help users to rip audio from DVD to MP3, WMA, WAV, M4A and etc which is compatible for different audio players, including Mac. 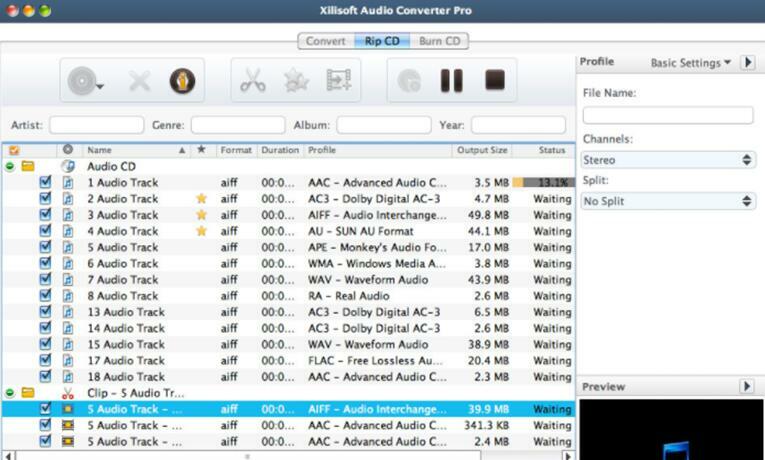 Nowadays, Xilisoft DVD to Audio Convert for Mac has the free version. However, this audio ripper can’t rip DVD with copyright. Another DVD audio extractor is MacX DVD Ripper. It can only rip DVD to MP4, MOV, MP3, AAC and AC3 formats for Mac. While its supported formats are so limited and it is able to rip the DVD with copy-protection. It can’t rip DVD for iPad Pro, iPhone 6S, PS4 etc. If you only have the basic audio ripping requirements, you can try it to extract audio from DVD. 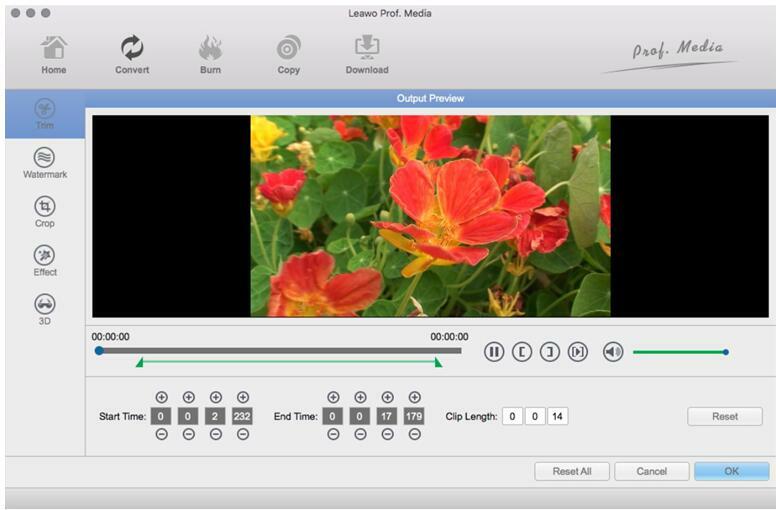 By comparison among the above DVD audio rippers, based on the criteria of the speed of ripping DVD, output quality, output format supported and customization features, you can find Leawo DVD Ripper for Mac has more advantages. Next please refer to the following instructions on how to rip audio from DVD with the help of Leawo DVD Ripper for Mac. Step 1. 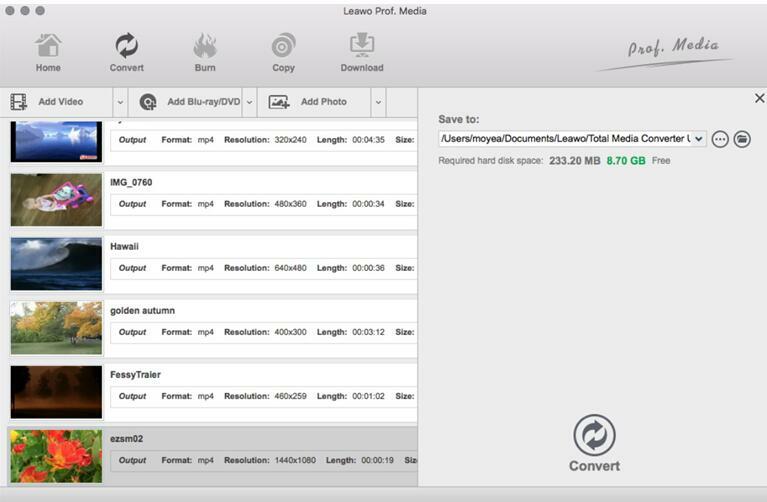 Download Leawo DVD Ripper for Mac and install it on your Mac. Step 2. Import the DVD source. You can click Add Blu-ray/DVD button on the sub-menu bar to import source DVD files. Or you can just drag the DVD content to the main interface. Here you can have three modes for you to choose after loading the DVD videos: Full Movie, Main Movie and Custom Mode. Step 3. Set Profile parameters. There is a drop-down box named MP4 Video by default next to Add Blu-ray/DVD button. And you can find Edit, Change and Apply three options. You can click Change to enter the Profile panel to select the output format. If you want to rip audio from DVD, here you can choose MP3 or other audio formats. Also, if you want to set other audio parameters, you can select Edit to enter the editing panel including Audio Codec, Bite Rate, Sample Rate and Channel. Step 4. Set output directory and convert ripping. After adjusting the audio settings, click OK button and then click the big Convert button. Then you will be required to select final saving route in the Save to box. Finally click Covert button below to start the audio ripping process. By following the above steps, users can easily extract audio from DVD on Mac with the help of Leawo DVD ripper. Besides, if you only want a part of audio in the DVD, you can use the trimming feature of Leawo DVD Ripper to meet your needs. After loading the DVD source to the main panel, just right click the video you want to rip audio from, and select Edit option to call out the video editing window. Under Trim section, you can trim the length of the DVD by setting Start Time and End Time frames. When it is done, the final audio will only be extracted from the selected video part. By following the above instructions, you can easily rip audio from DVD with Leawo DVD Ripper for Mac. Also, with the powerful editing features of the program, you can customize your own audio and trim it according to your preference.